Give your young engineer a rewarding experience with this 107-piece OWI RobotiKits KIKO.893 STEM kit. The buildable robot has AI and infrared sensors for precise tracking of hand gestures on follow-me mode and for obstacle detection on explore mode. 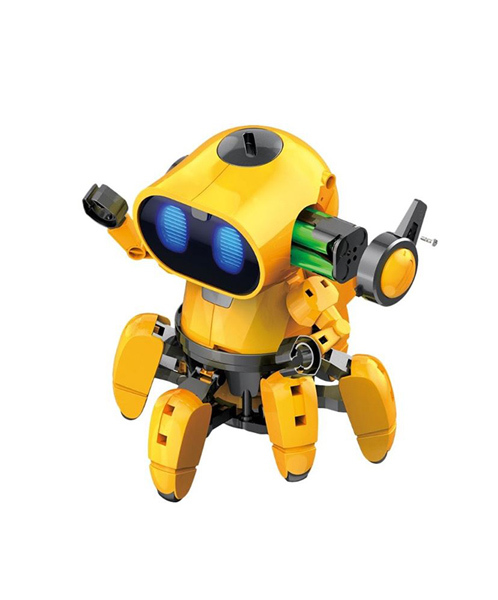 This OWI RobotiKits KIKO.893 STEM kit lets ages 8 and up create fun mazes and games for the robot to play.